Cell polarity refers to the intrinsic asymmetry observed in cells, either in their shape, structure, or organization of cellular components. Most epithelial cells, migrating cells and developing cells require some form of cell polarity for their function. These cells receive information about their surroundings via extracellular biochemical and mechanical cues and translate those information into polarity of the plasma membrane, its associated proteins and cytoskeletal organization. Once established, cell polarity is maintained by transcytosis, in which vesicles carry incorrectly-localized membrane proteins to the correct regions in the plasma membrane. 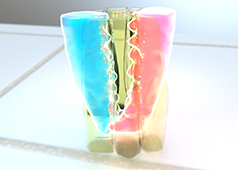 In addition, tight junctions, which act as ‘fences’ against transmembrane diffusion, lock the asymmetry in place. Therefore, mechanobiology plays an essential regulatory role in both the establishment and maintenance of cell polarity. 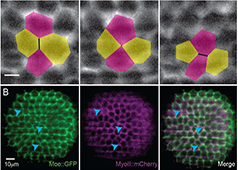 Epithelial cells become polarized along the apical-basal axis. The apical membrane faces the lumen and is rich in PAR and Crumbs protein complexes. 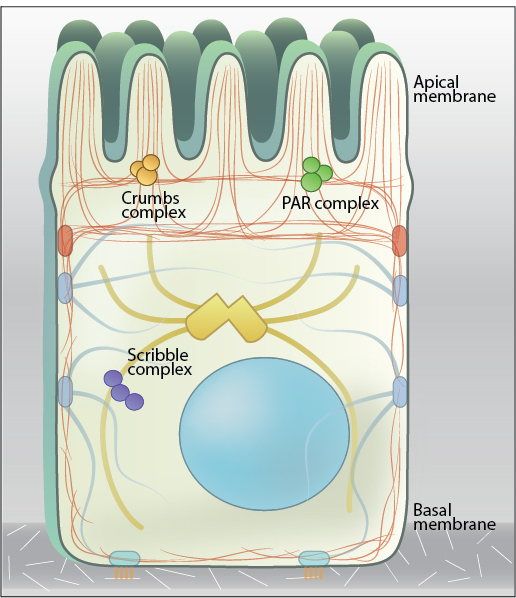 The basolateral membrane contains the Scribble complex and faces the extracellular matrix. Epithelial cells establish an apical-basal polarity, which results from the differential distribution of phospholipids, protein complexes, and cytoskeletal components between the various plasma membrane domains, reflecting their specialized functions. The membrane facing the lumen or free surface is known as the apical membrane, while the membrane oriented away from the lumen, contacting the extracellular matrix, is known as the basal membrane and the sides of the cell contacting the neighboring cells form the lateral membrane . The apico-basal polarization of epithelial cells is known to be a pre-requisite for their fundamental biological roles. These include regulating the vectorial transport of ions across cell sheets during their barrier function as well as ensuring directionality during their secretory and absorptive functions . 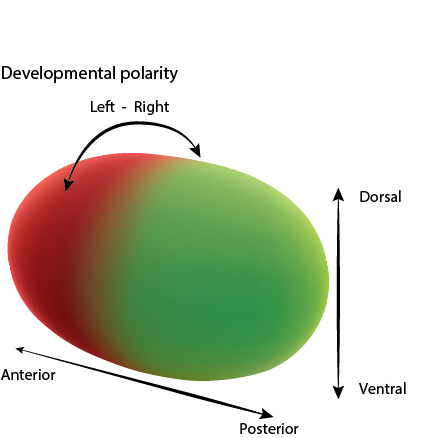 Developmental polarity is observed along three axes; anterior-posterior, dorsal-ventral and left-right. This polarity can be established by concentration gradients of secreted proteins, or by asymmetric organisation of cellular components, such as the cytoskeleton. 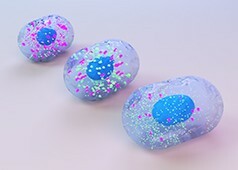 In other specialized cells such as immune cells and neurons, cell polarity enables the short-range and long-range transmission of various electrical and biochemical signals. For instance, A typical unipolar neuron has a highly distinctive shape and structure, with one end adapted to receive signals through highly branched dendrites. This signal is then transmitted down an axon, which can stretch the length of the body. At the other end of the cell is the axon terminal, where the synapses are located. These synapses can release chemical neurotransmitters in order to propagate the signal or effect an action such as muscle contraction. How are lipids and protein complexes segregated during cell polarization? How is the cytoskeleton polarized? 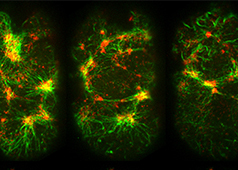 What is the role of basolateral cell protrusions in driving Drosophila germ-band extension? 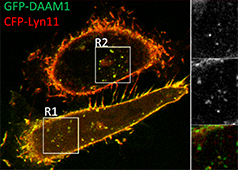 What is the role of DAAM1 at actin nodes?